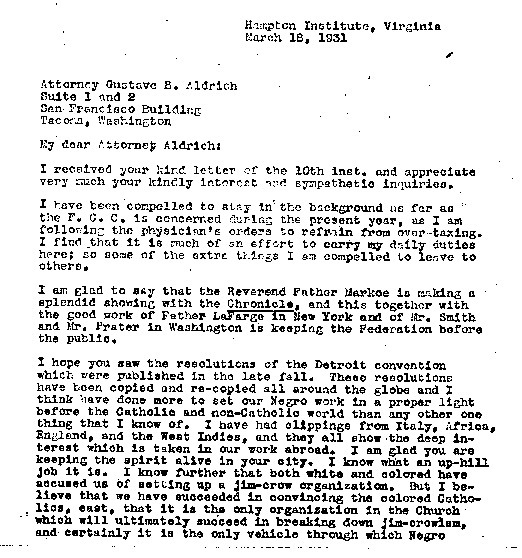 On March 18, 1931 Thomas Wyatt Turner wrote a letter expressing regret that he could not be more involved in the activities of the Federation due to poor health. In this letter he wrote of the international support for the work of the Federation, of several men dedicated to its cause, and of men who he thought misunderstood and misrepresented it. How does Turner characterize his relationship with Fathers LaFarge and Markoe? 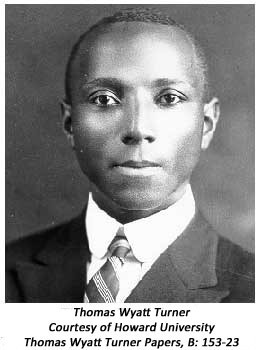 What are some of the opinions Turner had heard of the Federated Colored Catholics? Does he think these opinions accurately reflect the objectives and the activities of the FCC? Provide evidence from the letter to support your answers. What do you think Turner is thinking/feeling as he writes the letter to Aldrich? Is he optimistic or pessimistic or a little of both? Refer to specific statements in your answer.